How Do You Choose the Right Wedding Band in Toronto? Dilemma solved! 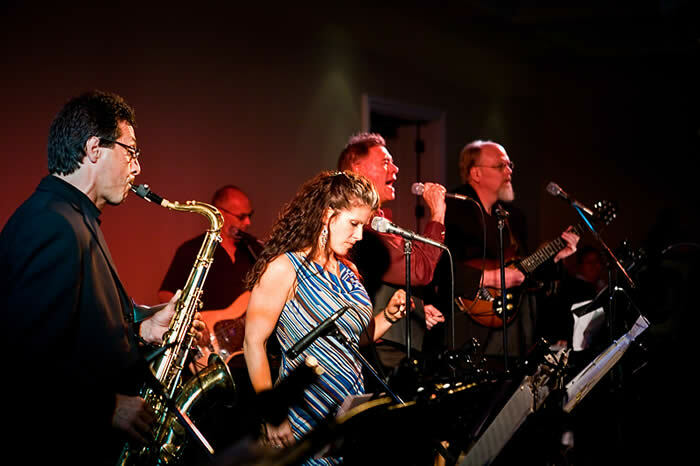 With its unbelievable combination of Jazz, Top 40, Rock, R&B, Soul, Salsa and Big Band Music, The Bluesual Suspects Orchestra provides a range of music that will delight a very wide range of musical tastes. 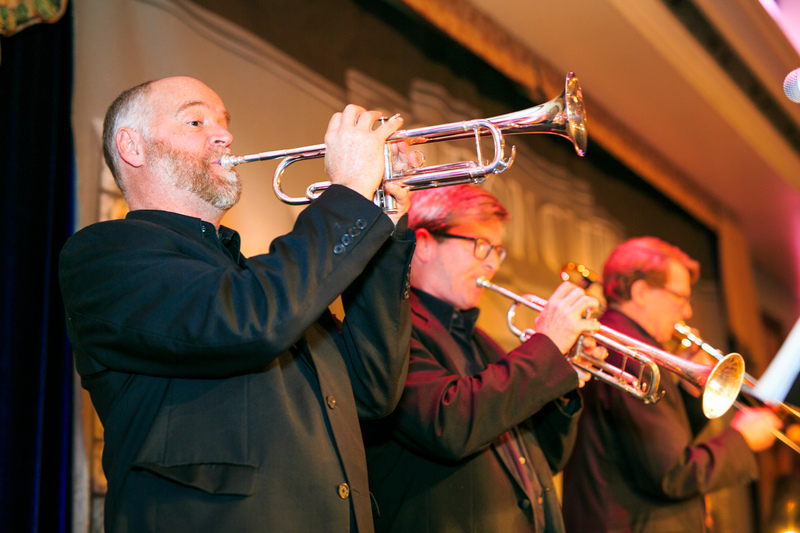 Heard from one recent guest: "Wow, what superb vocals and what a sizzling 6-piece horn section! From Michael Bublé, Stevie Wonder, Chicago, Earth, Wind & Fire, Sinatra and Tower of Power to Bruno Mars, Jason Mraz, Gnarls Barkley, Maroon 5, John Mayer and Christina Aguilera, The Bluesual Suspects played the hottest music and rhythms that kept everyone dancing. This is the music of our lives!" 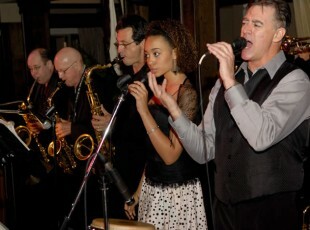 The Bluesual Suspects are Toronto’s top wedding band. 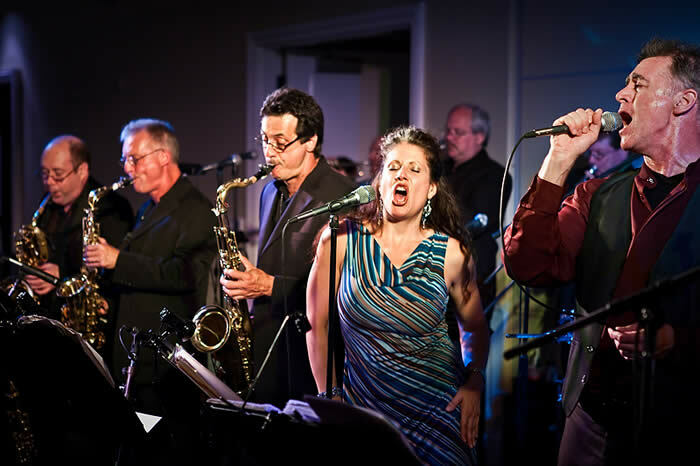 The Bluesual Suspects ranks first in outstanding vocals, musicianship and their ability to get your party dancing and grooving. 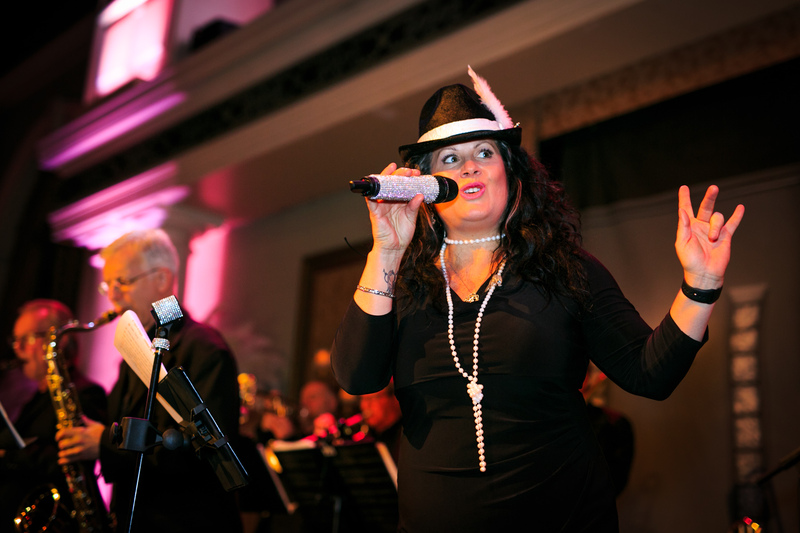 Our Toronto musicians are top of the line talents who have performed with many of the groups and singers that are covered in the band’s repetoire. 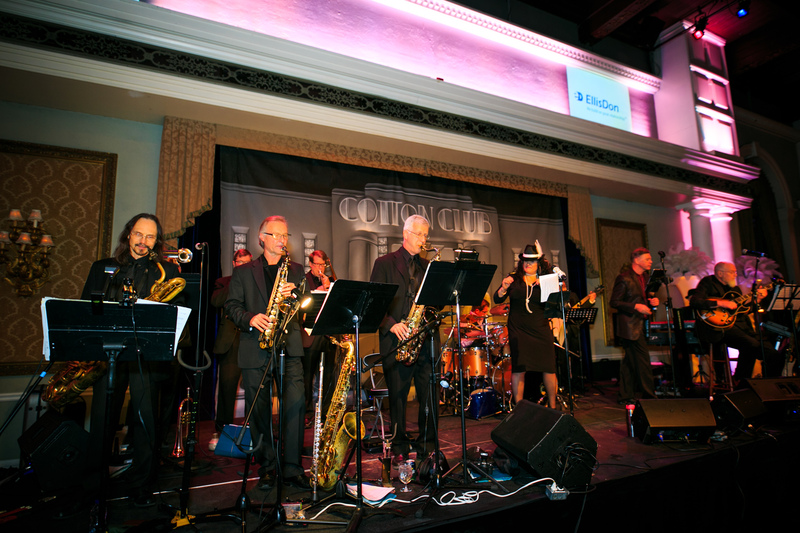 Toronto wedding bands, corporate event bands, party bands and gala orchestra’s all look up to The Bluesual Suspects as the high standard. Your event deserves the best and you deserve to be able to relax and enjoy your wedding, corporate function, party, dinner-dance or fundraiser knowing that The Bluesual Suspects are not only providing the dance music, reception music, dinner music or party music, but are satisfying the widest range of musical tastes in a way that brings a great vibe to your Toronto, Ontario event. 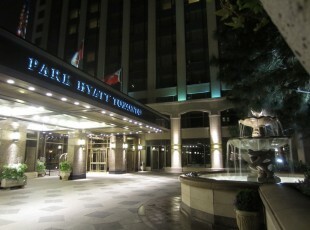 Ready to book the Top Band in Toronto? 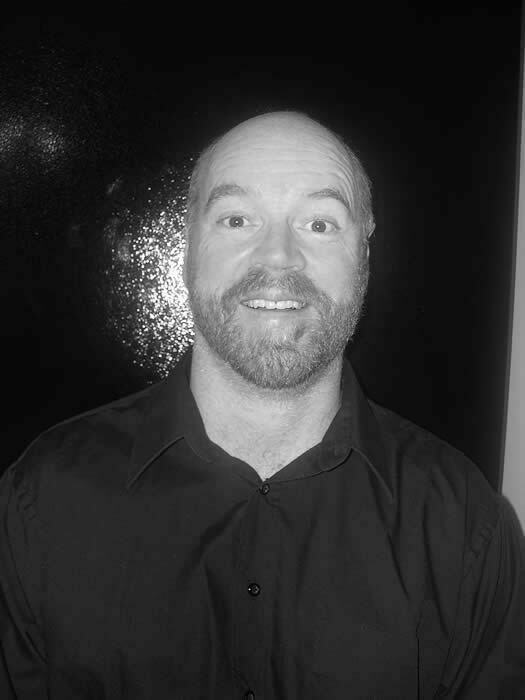 What Makes The BlueSual Suspects Stand Apart? 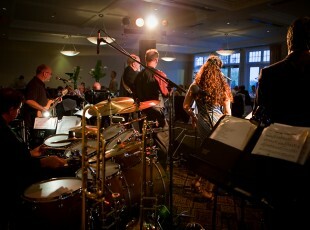 Live music is something that has often and continually been the highlight of a wedding party. 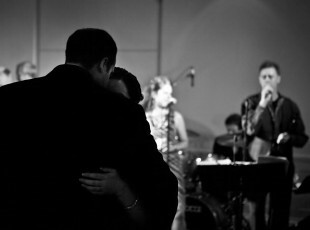 When it comes to wedding bands in Toronto, The BlueSual Suspects take center stage. But it takes more than just a good voice and a great band to not only make it in the industry, but also to be able to turn someone’s special day into a truly unforgettable wedding. 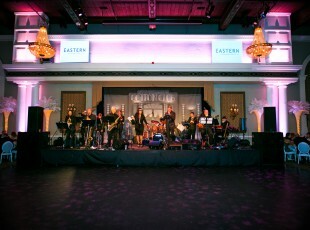 What we mean when we say “quality” is a group of individuals who have worked together for a long time, and know their craft – Rick Precious, Phil Kane, and others have spent years honing their musical talents in a wide array of different genres and venues in one of the most popular wedding bands of Toronto. This has given them a unique perspective when it comes to captivating an audience. As well, they are able to provide video recording of their performances which makes them stand out from other wedding bands of Toronto. 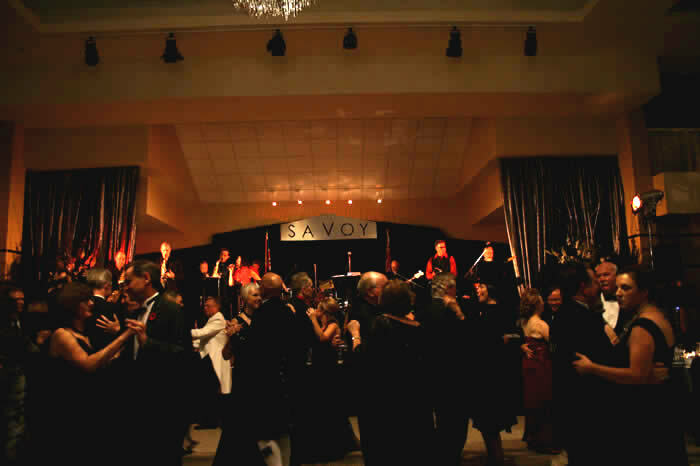 They take pride in being able to deliver an extensive array of requests from the audience and the bride and groom, including all the classic favorites! 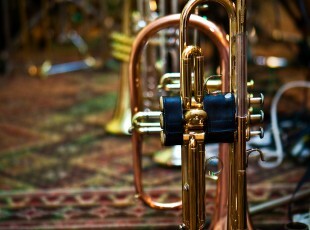 But they also bring a lot of different genres to the forefront, including big band, jazz, and of course, blues. This has a lot more to do with how well a band gets along – all the member of this band, by necessity of working together in one of the most stylish wedding bands of Toronto, have developed a strong working relationship. And it comes out in their showmanship. 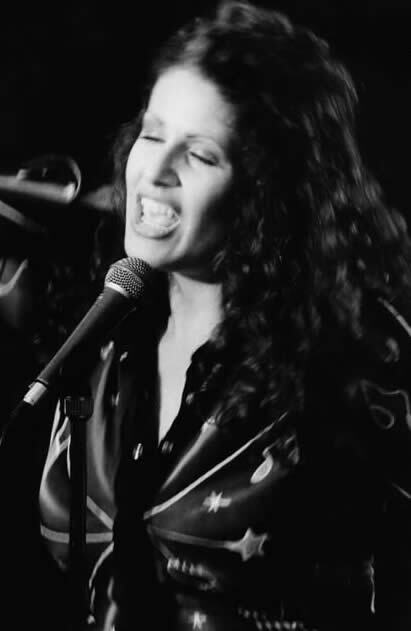 It is one thing to sing a lot of songs in front of someone. 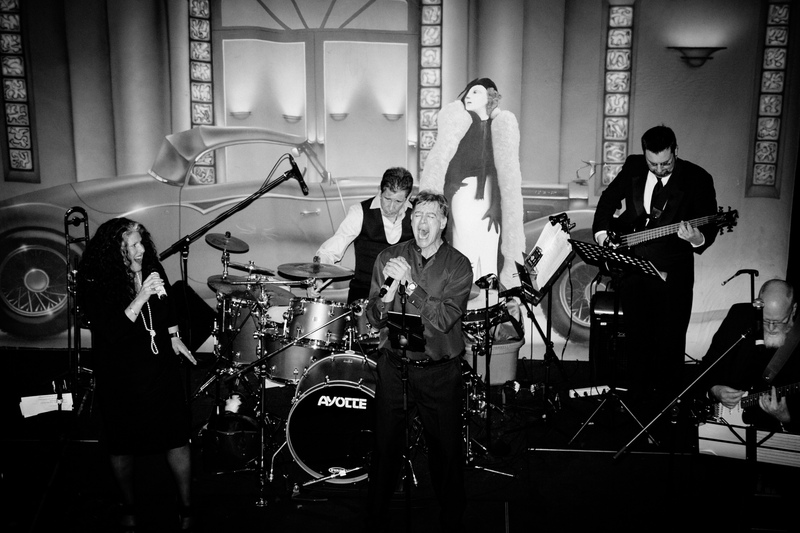 It is quite another to be both chaperone, comedian, and organizer, and their casual easy-to-talk-to demeanor is what has made them one of the city’s favorites and most recognized wedding band groups. 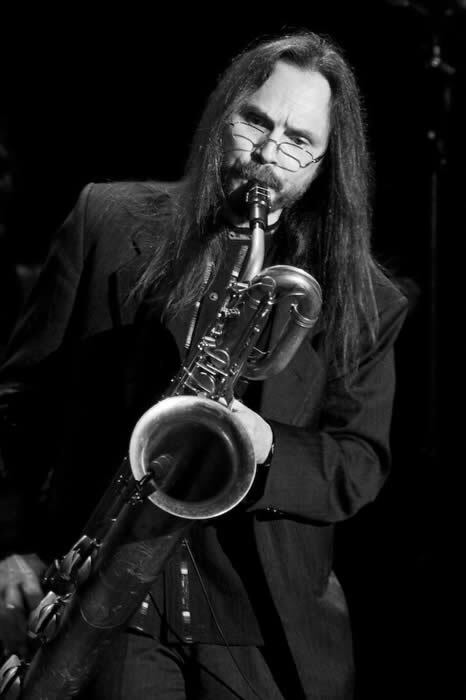 Each band member has a number of instruments that they specialize in – whether it’s Jeff Mandell on drums, or Jeff Speziale on bass and vocals – and each of them contribute their own particular flavor to the band’s song. As a result, each of them has over time developed their own moniker within the band, with aliases like ‘The Machine’, ‘The Arranger’, or ‘The Professor’. Needless to say, their wry humour and amusing antics in between numbers is a direct reflection of their love of the job, something other wedding bands of Toronto can’t hold a candle to. 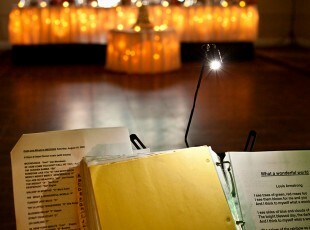 Part of their charm, or the charm of any successful wedding band, is the kind of energy that they can bring to a venue. Rising out of the influx of many other wedding bands of Toronto, The BlueSual Suspects are no exception. Whether it’s handling the potentially awkward escapades of wedding guests, serenading the bride and groom on their first dance, or just keeping the atmosphere with a carefully selected arrangement of songs, clients have continually commented on their reliability when it comes to making the whole wedding experience one that is positive, memorable, and over-the-top. Hire The BlueSual Suspects for your event.